How to Pop the Question This Season + Enter to Win a Ring! Alrighty, so, proposal season is literally RIGHT around the corner. In just a few weeks, Thanksgiving will be happening and, soon after, engagements will be skyrocketing. It’s a nice, endearing thought to think that your partner knows you as well as he or she’d ever need to, to orchestrate the proposal you’ve always dreamed of, but LBH, there are far more problematic proposal stories out there than perfectly-pulled-off ones. It’s the most important question your guy or girl will ever ask, so you can’t blame him or her for enlisting some help. 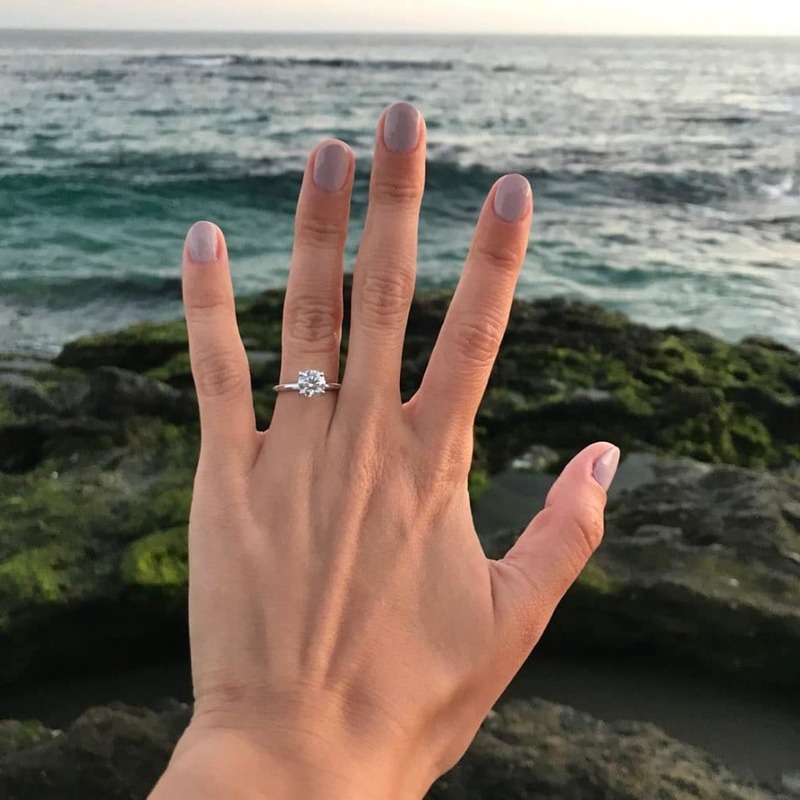 It doesn’t mean they’re any less into making you their fiancée, it just means that they’re that much more interested in making the occasion once-in-a-lifetime. 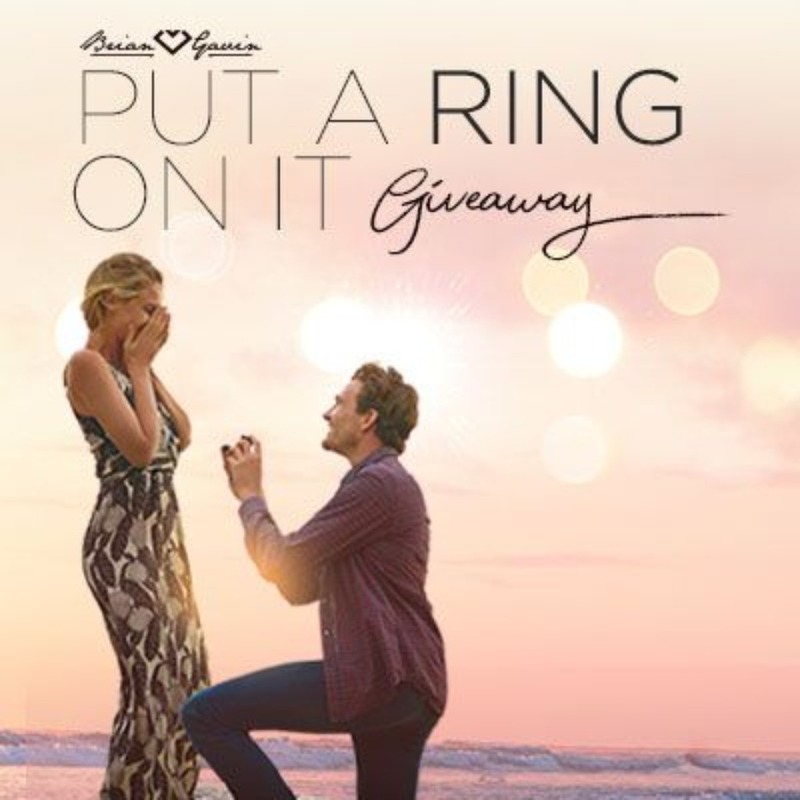 So, we caught up with one of the biggest names in engagement rings, precision-cut diamonds and custom jewelry creations, Brian Gavin Diamonds, on precisely why that once-in-a-lifetime opportunity can be made even more on-point with a proposal partner. It starts with the ring. The person doing the question-popping already has a lot on his or her plate, but the only thing that will last after the proposal - other than the major memories - is that sparkler. The champagne will be fizzle out, the roses will wilt, and the mascara will run, but that means very little when a stunning engagement ring is on the table. Dom Pérignon, never heard of it... And yes, women do a pretty good job of dropping hints about what they want around their finger, but the truth is, figuring it all out with a pressuresome jeweler (who has their own agenda to attend to) is hardly a piece of cake. Doing the diamond shopping online, though, can be just as hard. That’s why places like Brian Gavin Diamonds and people like Brian Gavin (known and loved by his customers as Brian the Cutter) exist to provide buyers an innovative and stress-free way to browse diamonds and break down the intimidating and unattainable stigma or shopping for and purchasing diamonds online. Brian strives to make each of his diamonds a cut above the rest to provide the ultimate meaning for his customers. 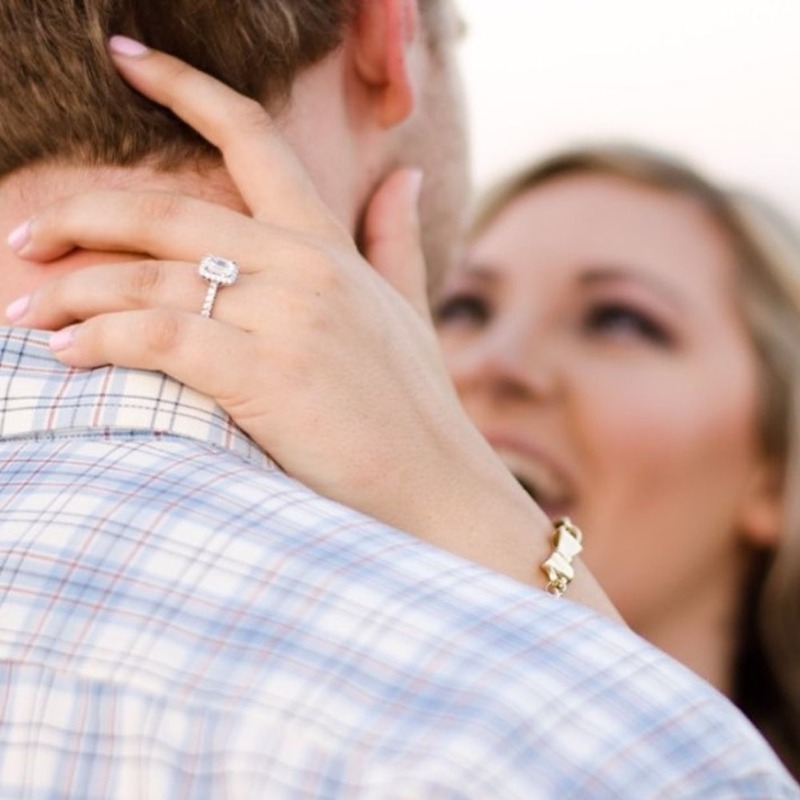 This passion and dedication to helping customers personalize jewelry pieces for their most special milestones is one of the reasons Brian Gavin Diamonds is unique among its competitors. It is Brian’s attention to detail and perfection that allows his Signature round hearts and arrows diamonds to outshine every other stone by delivering an unparalleled volume of light return, and bold, bright, flashes of light that are so incredible people notice them from across the room! This is what you want your soulmate to propose with. And a plan that’s pretty much poetic. It’s true, you and your S.O. are the only ones who have lived through your love story - so you know what makes it sparkle. That said, an outsider can provide perspective and distill all of your memories, relationship relics, and compatibility cornerstones into a proposal blueprint that is mind-blowingly bespoke and articulate, impressive and confident. It helps, too, if your lover can really just snap his or her fingers and have every cog in their pre-wedding wheel assembled for your proposal plan without having to do much at all. And that’s what proposal planners do. They architect the idea, scout the venues/involve the expert vendors, and then execute on every detail that needs attention, so that your future fiancé can just focus on remembering those four special words (we don’t have to say them, do we?). Of course it did, but over the last few years, proposal photography has blown up - and it’s not hard to see why. A beautiful couple, a beautiful proposition, a beautiful ‘she said YES’ face, followed by all the tears, hugs and kisses. If it’s not captured - on something other than an iPhone - then it’s a damn shame. The cool thing about photographers who snap engagements on the reg, too, is that they kind of disappear into the periphery when the important plot points are going down. So, while your future hubs or wifey might want to commission your besties for all the documenting, they’d probably be better served by someone who 1) has actual shooting skills 2) won’t get in the way 3) won’t give anything away on the lead up to proposal day. There’s also a matter of needing to dress flawlessly and have jewelry insurance on standby. Planning partners can help with these too, just sayin’! Think your partner is ready to PTQ (pop the question)? Well, do him or her a favor and flag this contest for their consideration…. That way you can say you at least tried to help! And entries literally take no time at all: just some basic qualifying contact info and a compelling pitch for why you deserve a dream proposal. You have until Thanksgiving Eve, but we’d recommend entering now, if only to remind you how #blessed you are to have your person in your life.